« Who cares about the U.S.-China trade deficit? The US has clearly been the global leader in elevating the profile of the franchise business model. This has been accomplished through successful and innovative brands which have captured the loyalty of millions of consumers at home and abroad. Many of these brands are recognized as leaders in their respective industries despite their humble beginnings. Entrepreneurs worldwide see these success stories and hope to create their own. The majority of these new franchises will be limited in their geographic reach but will provide an opportunity to create local employment opportunities. Some will venture to the US. The expectation is that each of these new franchise systems will be defined by the quality of the service it offers rather than the location of its home office. What matters is how these new brands offer credible opportunities for perspective small business owners and the employees they hire. 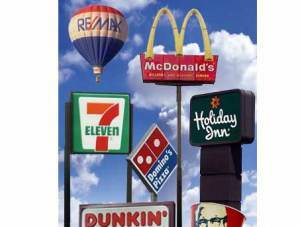 Franchising is a reflection of the global forces at work in today’s economy. No longer can it be expected that the US will dominate the market. We can expect US franchisors to lead by example. And as markets around the world have welcomed our franchise brands, we can do the same for theirs. Excellent points, Kathleen. In reality, we need to look beyond the ownership of the franchisor, and focus on the heart of the the organization’s success – the franchisees. Without successful franchise owners, no franchise is sustainable. I also like your point about job creation, which is sorely needed in these tough economic times, regardless of the origins of the franchisor. One area not to overlook in this discussion is the rise of “private franchising” aka network marketing. Network marketing has eveolved dramatically from the MLMs of the 70s and 80s. Companies like Amway, Arbonne, Market America are providing both excellent products and real income opportunities for “average” Americans. These are the best ways for regular folks to become entrepreneurs. One must of course be discerning which ones to join but this franchising concept is on the rise and will continue to grow dramatically as the rest of the economy continues to trend sideways for the next few years. Yes, MLMs are on the rise, and will continue to grow. Yes, the U.S. has historically led the charge with MLMs. As a franchise professional, I would take issue with labeling an MLM as a “franchise” business model for several reasons, most importantly because MLMs are not subject to the same FTC franchise disclosure requirements. I would defer to the Wikipedia definition of multi level marketing. Definitions aside, I would question the failure rate of individual entrepreneurs under the MLM model versus independent small business startups versus franchised businesses. Ray, interesting article, as with most things complacency is a problem with any business and to just continue to doing the same thing year in and out will create opportunities for competitors. One has to be innovative with their franchise and offer that something special, different on a regular basis. Although not franchising one only has to look back at the automotive industry, America was the be all end all in this industry, that was until Japan came along and offered as standard what others had as extras, the same could be said with many other industries across the board. hard rocks. To get more information about chicago movers visit,. People often write and talk about physiological differences between muscle fibers (slow twitch vs.
Iam regular reader, how are you everybody? This article posted at this website is in fact good. and on internet I found this web page as a most excellent website for newest updates. I will immediately take hold of your rss as I can’t find your email subscription link or newsletter service. usually people don’t talk about these topics. To the next!